Whether you have a big dream or simply want to get ahead financially Bright Spenders can help! A Regular Income Earner? – Whether you’re a high, medium or low-income earner, most of us find that our spending matches our income. Controlling our expenses is the essential part. Self-employed / Casual or a Seasonal worker? – Your income may fluctuate but your bills don’t stop. 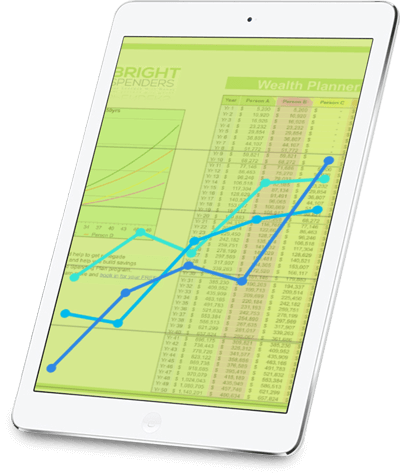 Be able to know how much you need and by when so that you can manage your finances with ease. Wanting to retire soon or simply work less? – You’ll get to know when you might be able to earn less or retire. A Parent? – Kids are EXPENSIVE, but worth every cent. We want the very best for our children but it isn’t always easy to do. Using our program you’ll be able to see just how far you can stretch your budget to accomodate everyone’s needs. If you’re planning to go from two incomes to one you’ll be able to find out how that will be able to work for you. In debt? – Find out exactly when you’ll be able to pay off your debt. Get out and stay out of debt for good! Passionate about saving for something special? – Saving for a house, overseas holiday, or a wedding? You’ll be able to see how much you can dedicate to your goal and how soon you’ll achieve it. Together we’ll design an effective Spending Plan which will revolutionise the way you think about spending and money, and help you develop rock-solid habits to support your goals. We give you the tools you need, empowering YOU to take control of your income and spending. Still not sure if a Spending Plan is what you need? Book in for a friendly, obligation-free chat to find out more.